The vote on Tuesday seems to be all about Prime Minister Benjamin Netanyahu – keep him or dump him. But our photographer found that it's not the half of it. JERUSALEM – History seemed to be closing in on Benjamin Netanyahu. The attorney general wanted to indict him on corruption charges, accusing him of trading lucrative government favors for positive news coverage. A new scandal bubbled up when it revealed that it had secretly approved the sale of advanced submarines to Egypt then song about it. Even his right-wing base was growing weary of his self-obsession. Yet, if the election on Tuesday was to be a referendum on Mr. Netanyahu's record, he was happy to run on it. He has been on a roll, opening with Muslim countries in Africa, thawing relations with Sunni Arab leaders, lining up allies in Eastern Europe and forging trade ties in Latin America and Asia. He pocketed President Trump's recognition of Jerusalem as Israel's capital and, just two weeks ago, of its sovereignty over the Golan Heights. On Thursday, he capitalized on his report with President Vladimir V. Putin by drawing on Russia's help to bring home the remains of an Israeli soldier killed in Lebanon nearly 37 years ago. Mr. Gantz has asked for his focus instead on the corruption, self-dealing and arrogance that has been tarnished. Netanyahu's achievements. Against Mr. Netanyahu's potent politics of division – pitting right against left, religious against secular, working-class against rich, peripheral towns against Tel Aviv, whose grandparents of Arab lands against those whose grandparents were kibbutznik pioneers – Mr. Gantz has offered a message of unity and healing, of putting "Israel before all." Neither man has said much about policy. The result is that one of Israel's most consequential elections has been one of its ugliest and shallowest. There were no debates and few serious interviews of the leading candidates. Get-out-of-the-vote rallies have been replaced by Facebook and Twitter videos and anonymous texts. 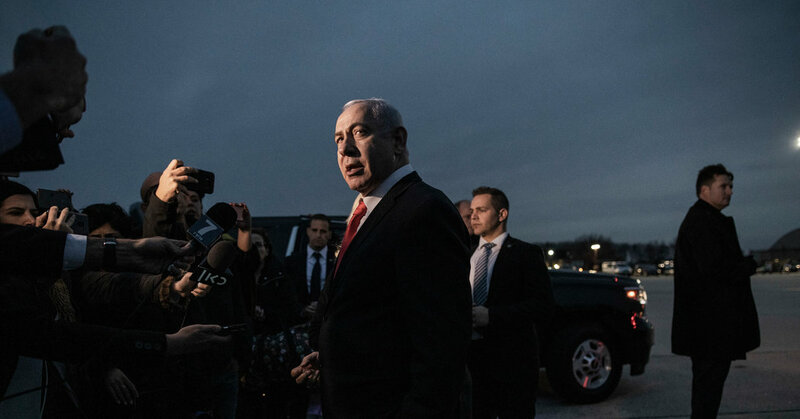 Much as Netanyahu versus-Gantz focused on the election as a head-to-head contest, under Israel's chaotic and confusing parliamentary system, a panoply of small parties could tip the balance. If the election is close, parties that control just a few seats can give one side or the other enough to assemble a governing majority. The unlikeliest kingmaker was Moshe Feiglin, last seen in Israeli politics pushing a far-right agenda of annexation of the entire West Bank, including a Jewish takeover of the Temple Mount. Now, having grabbed headlines with a call for legalization of marijuana, the iconoclastic politician is gaining over thousands of young people with a free-market platform aimed at reducing the cost of living: a flat tax, privatization of hospitals, and more to import tariffs, and land reform to lower housing costs. There was high drama in other slices of the electorate, too. The story Labor party seemed in danger of extinction under its new chairman, Avi Gabbay, a former center-right minister who was rejected by many of Labor's core, old-style liberal Zionists. But a feisty ad campaign restored its relevance and many voters were willing to overlook Mr. Gabbay to return Labor's lawmakers to Parliament. On the right, a bold move by Education Minister Naftali Bennett and Justice Minister Ayelet Shaked, who broke away from the Jewish Home party to form a more secular-oriented New Right party, seemed in danger or backfiring. The two youthful leaders, who had each seemed to succeed in line to one day. Netanyahu, was battling to hold onto their seats, let alone their ministries. The Arab vote was also a wild card. A strong turnout among Palestinian citizens of Israel, who make up 20 percent of the population, had the potential to raise the number of votes needed to make it into Parliament, jeopardizing smaller parties on the right and the left. That prospect was particularly threatened by Avigdor Lieberman, the hawkish forms defense minister who had pushed through the election rules in an effort to sideline Arab parties. Yet Arab voters seemed even less enthusiastic about voting than Jews. A boycott-the-vote campaign gained strength in the past month, part of expression of popular frustration with Arab politicians like Ayman Odeh and Ahmed Tibi, whose jockeying for supremacy caused the Arab coalition to break into factions. Mr. Gantz's braggadocio about the number of Palestinian fighters he had killed in Gaza in 2014 also dampened the excitement of Arab voters. Netanyahu. Mr. Gantz has to come across as tough to defeat Mr. Netanyahu. His team includes Yair Lapid, a popular forms talk-show host and amateur boxer, and two other popular forms army chiefs, Moshe Yaalon and Gabi Ashkenazi. Appearing together along the Lebanese and Gaza borders in Uniqlo jackets and jeans, the four most sought-after Israelites, as if to say, yes, there could be a secure and stable Israel without Mr. Netanyahu in charge.